In Tibetan Buddhism, the concept of paradise is relative and dependent on the individual that attains enlightenment. 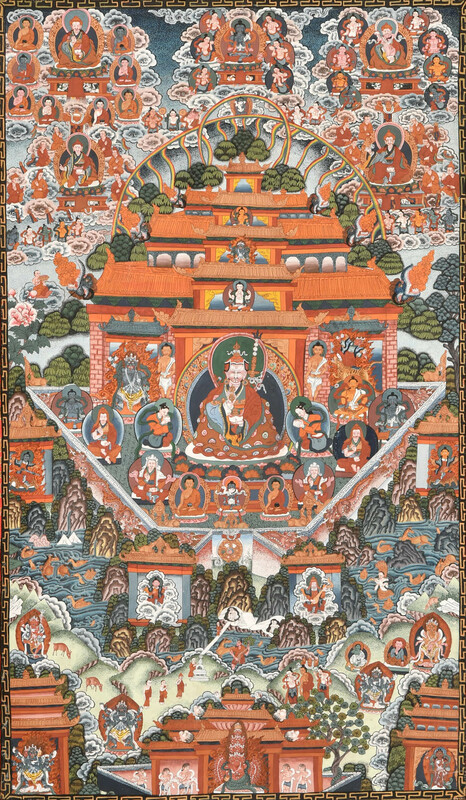 In this one-of-a-kind thangka painting, the paradise of Padmasambhava, an Indian Buddhist master revered across the subcontinent, is depicted in alluring colours and ethereal shapes. Each thangka painting is a composite work of art consisting of a panel of extensive painting/embroidery, a textile mounting, and wooden dowels decorated with knobs. 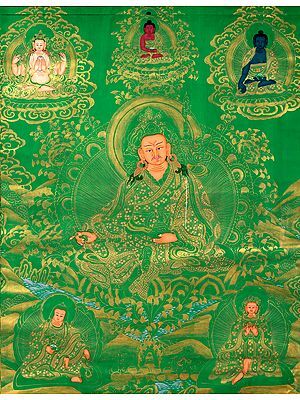 The beauty of this thangka lies in the contemplative experience offered by the subject.